Apparently no one likes to be a number. Even those who trade in them. 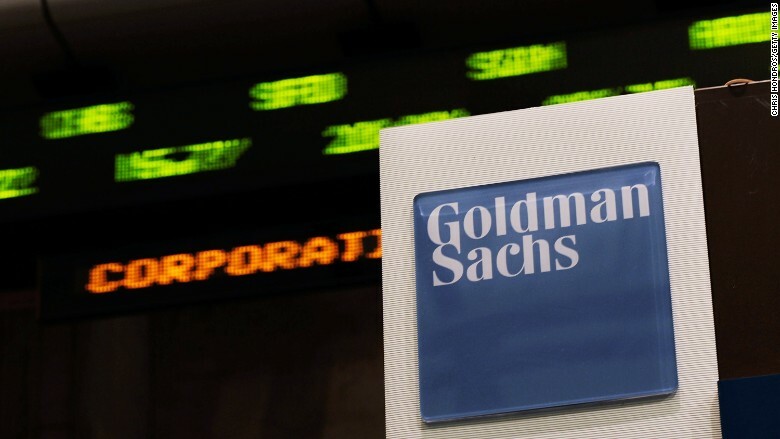 Following a growing trend among big companies, Goldman Sachs announced Thursday that it was ditching its 9-point rating system for performance evaluations in favor of "qualitative" feedback that is "timely" and "constructive." The investment bank also will move away from the once-a-year model of performance evaluations to one that is more continuous and "real-time" throughout the year. The changes were in response to an in-house survey in which employees indicated they want more frequent feedback to support their professional development. "We strive to create an environment where our people can perform to their fullest potential. ... Providing high-quality and ongoing feedback is at the heart of our culture, and is an important investment we make in our people," CEO Lloyd Blankfein and COO Gary Cohn said in a memo to employees. Not that Goldman Sachs (GS) is ditching labels altogether. It will ask managers to not only provide a written performance summary but also provide a rating of "outstanding" "good" or "needs improvement." Like a lot of other companies, Goldman also is trying to streamline the notoriously laborious process of performance reviews. It is keeping its 360-degree review system, in which managers and their direct reports review each other. But it's reducing the number of people who review them from 10 to 6. The firm also said it would collect and deliver its feedback earlier in the year. What's not clear from Goldman's announcement -- and the firm declined to comment when asked -- is what employees' specific displeasure with the 9-point ranking system was. It's not atypical for number ratings to be used as part of a forced-curve review system. So, in other words, more than 40% of employees -- regardless of how great their contributions -- will be relegated to the middle group of performers. And some companies have used a rank-and-yank system, in which managers are supposed to get rid of their lowest-ranked performers every year, even if those employees have done fairly well, just not quite as well as some of their colleagues. But it's not just employees' displeasure driving such changes to annual reviews. Workplace experts have noted how demotivating and counterproductive such numbers-based, forced-curve reviews can be.